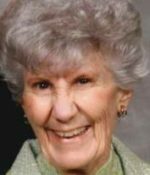 Remembering Verna Blair | Remembering Verna Blair | De Soto Obituary Search | Dietrich-Mothershead Funeral Home, Inc. Remembering Verna Blair | De Soto Obituary Search | Dietrich-Mothershead Funeral Home, Inc.
Verna Lee Blair was born January 1, 1938 in Richwoods, MO. She was the daughter of John F. and Kathleen (nee Casey) Bliss. She died on October 6, 2015 at her residence in DeSoto, MO at the age of 77 years. She is survived by her husband, Theodore “Ted” L. Blair, DeSoto, MO; a daughter, Vicky (Mike) Christopher, De Soto, MO; a son, Jamie Blair, Dale, IN; two sisters, Maxine Wideman, DeSoto, MO and Lois Cordia Pannebecker, DeSoto, MO; grandchildren, Travis (Angela) Blair, Jason (Angie) Blair, Courtney Blair, Devon (Brent) Mendel; Cody (Dawn Richey) Christopher, Drew (Julianne) Christopher; great-grandchildren, Reznor Blair, Keno Blair, Carson Blair, and Olivia Blair, Lindsey Mendel, Abigail Mendel, and Robyn Mendel. She is preceded in death by her parents; one daughter, Renee Blair; brothers, Tosca Bliss, Wayne Bliss, and Clifton Bliss, Sr., one daughter-in-law, Pam Blair. 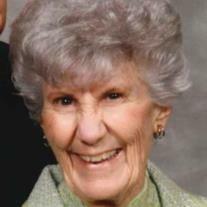 Verna was a member of the First Baptist Church of De Soto. As an expression of sympathy memorials to the First Baptist Church Building Fund, 2000 Grace Way, DeSoto, MO 63020.